As one of the top 20 motor groups in the UK, the Greenhous Group sells customers new and used cars, vans and trucks from several outlets across the West Midlands and Shropshire. Greenhous Group dealerships have vehicles from Vauxhall, Volvo, Renault, Nissan, Dacia and Ford for sale, providing drivers with quality and great value for money. A Greenhous Group dealer also offers drivers a range of other services like MOTs, servicing and repairs and maintenance. The company even has two Approved Tachograph Centres for HGV and PSV operators, with one in Wolverhampton and the other in Shrewsbury. The business sits among the UK’s longest established car retailers with over 100 years of experience in the automotive retail industry. Founded in 1912 by Vincent Greenhous, the company has grown from the vision of one man to a major employer in the region. 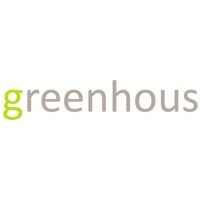 In 2015, Greenhous expanded its impressive portfolio with the acquisition of two Ford dealers, the company’s first outlets stocking the motoring giant. Today, the Greenhous Group consistently reaches the top 25 of Motor Trader’s Top 200 Franchised Dealers, and they were ranked fifteenth in 2016. With a selection of hatchbacks, coupes, saloons, estates and SUVs on offer, customers can find a preowned car which suits them. For motorists looking to purchase a van, Greenhous sell new and used vehicles from Ford, Nissan, Renault and Vauxhall. As well as that, the company also sells and services trucks.